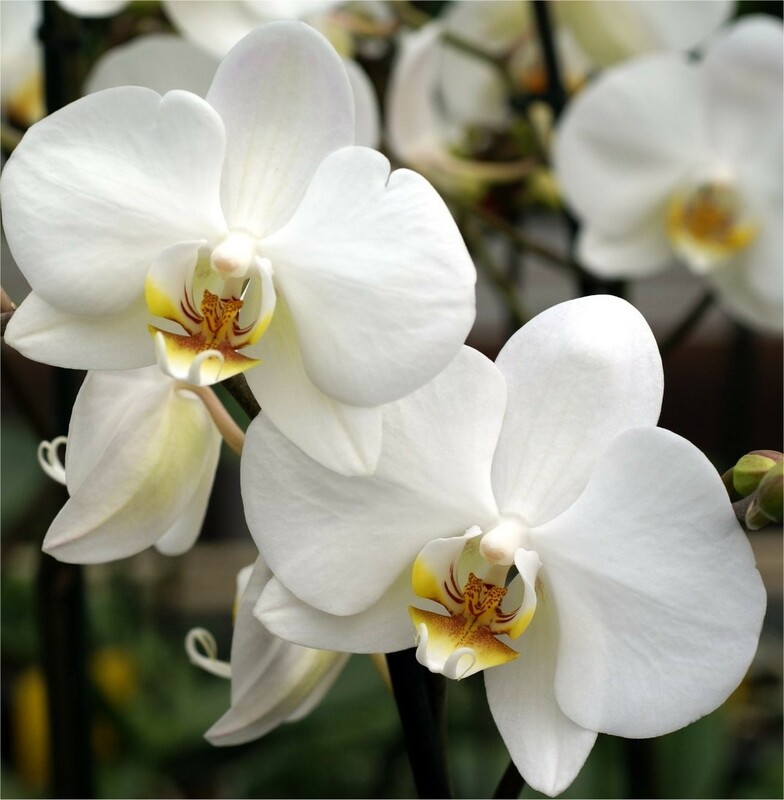 White Phalaenopsis orchids are wonderful and manageable plants. They thrive in bright indirect light and temperatures that are warm by day, cool at night. The long-lasting blooms add an exotic touch wherever they are displayed and the plants are easily maintained. 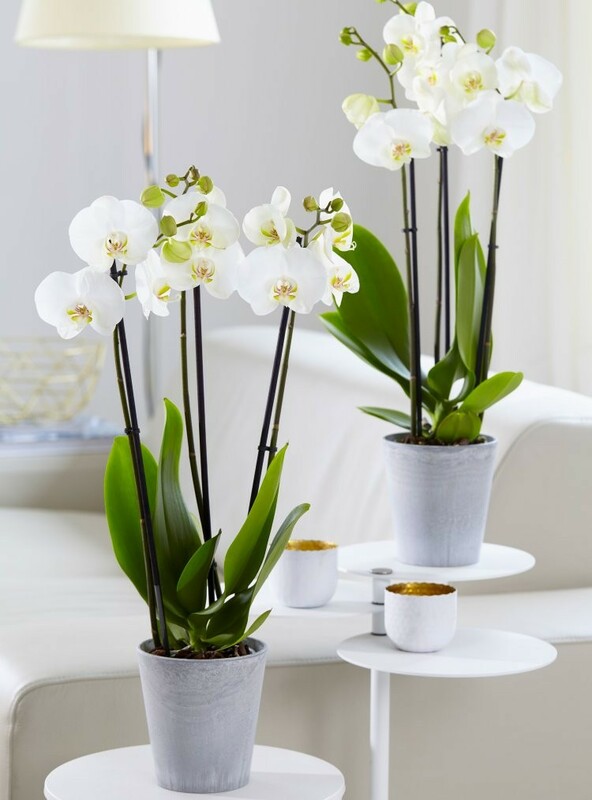 Order these wonderful serene single stemmed white orchids and you'll have the perfect gift. 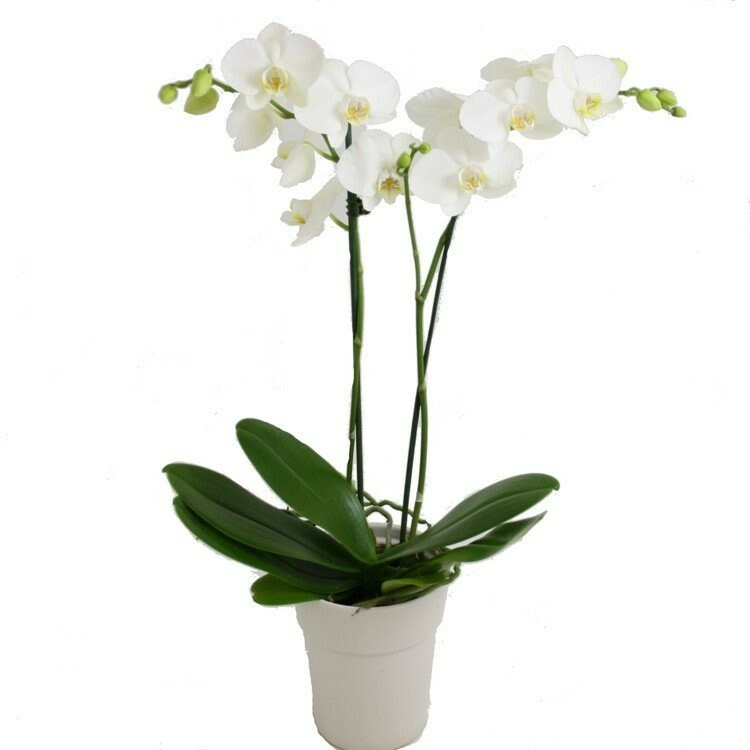 For best results, Orchids need even temperatures and a brightly lit room, but avoid direct sunlight. Colour supplied may vary slightly according to availability. These are great value, and the blooms will last for weeks, they'll be delivered as a finished item, complete with a classic white display pot. Simply position and enjoy.